Patio carpet can be washed with the hose. 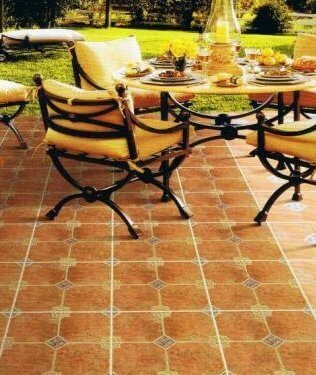 Outdoor carpet differs from the kind we have in our living room because it is specially engineered for outdoor use. This kind of carpet must be able to withstand additional hardships not typically seen indoors. UV sunlight, moisture, bugs, dirt and frequent trafficking are all things that an outdoor carpet needs to combat. To do this, most rugs are created using a material called polypropylene. It has the texture of regular carpet rugs, can be dyed any color, yet is resistant to fading, mold and mildew. This material is in many ways eco-friendly in that it can be recycled from old plastic drinking bottles. Various threads are brought together to create unique patterns from different parts of the earth, including Turkey and the Middle East. Outdoor carpeting is easiest to install in the form of a rug. 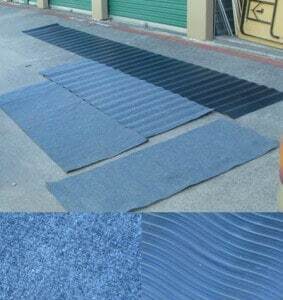 A more involved alternative is to lay down rolls of carpeting onto a concrete surface for permanent placement. Rugs have the advantage of easy cleaning because they can be washed down with your garden hose and air dried over a wall. Permanent outdoor carpet can get real dirty, real fast with no effective way to clean it. Rugs can come in one-sided and reversible types. The one-sided models have one side with patterns and another side which stays I contact with the ground. Some have rubber texturing on the bottom to prevent slippage. Reversible models allow for a healthy change in mood every so often by offering two completely different patterns, one on each side. Simply flip the rug over to reveal the new pattern. Outdoor carpets are weather resistant and maintain their color. Outdoor carpet is effective at brushing off spills and moisture with ease. The polypropylene fibers, unlike cotton, do not absorb moisture. 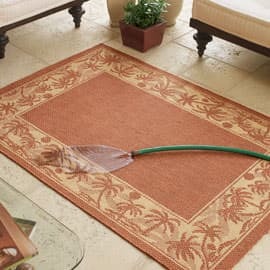 As a result, water goes right through the rug and onto the ground where it can evaporate quickly. This prevents mold and mildew from forming within the carpet. This breathable nature helps keep the mosquitoes out of sight. For additional protection against dirt, you can apply a bit of Scotch Guard to the surface of the rug. Indoor outdoor carpet is suitable for both the living room and the patio. 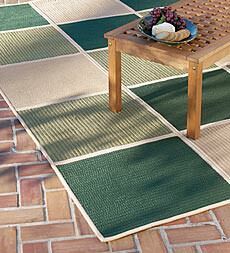 Outdoor carpets that look like grass have been a mainstay for years. These carpets have a heavy weight, finished edges and a bristly surface which provides good traction. While not the prettiest, green grass carpeting is clean and long lasting. It can be permanently installed onto the ground or bought in pre sized rugs. 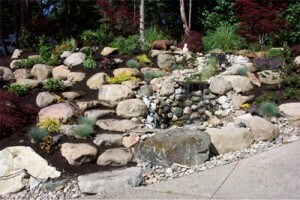 All are resistant to mildew and mold.